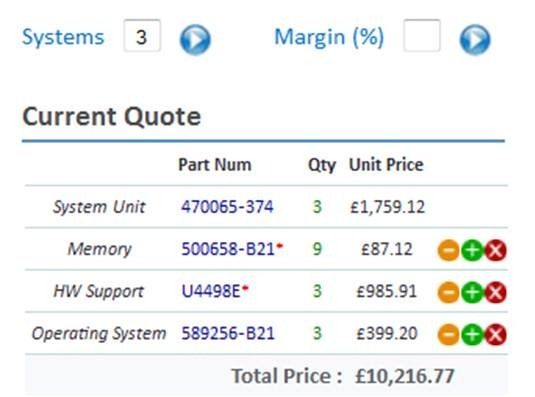 Now HP iQuote users can specify the number of System Units in the Quote. A frequently requested enhancement was to show the System Unit multiplier in the Cart/Basket in addition to allowing the multiplier on Export. Well good news that is now possible. Save the Quote and you’ll see a new function to extend the number of systems. The cool thing is that if you add more options HP iQuote auto-extends the options and still validates. In the above quotation 3 Memory Modules were added to 3 Servers so 9 Memory Modules. Saved Quotes: there are lots of reasons to Save your Quotes in HP iQuote – now there is another one !